And so my skeleton smuggling business begins. Also, the Obiliskians look rad. I love rad stuff that looks rad. I always fancied things that had more mass to them than they needed, but it’s not fat or organic, just solid, lumpy appendices. Like obelisks. Or half-eaten space ships. Congratulations on v40. Lots of new, very interesting additions. I love it when the fishpeople come to trade, and the stuff that they bring that they think make desirable goods. The flesh cube cracks me up – please: make it an option in the kitchen order dialog – Seared Bizarre Cube of Flesh of Totally Unknown Origin. It was absolutely the right thing to do to elevate fishpeople [above what you’ve described as ‘goblins’ in just being there to be wiped out], into fully-fledged game participants. So cool. And the ‘high-elbow strut’ adopted by a happy labourer makes me chortle every time I see it. I’m in danger of mimicking it in when I go down the orchard to clear nettles. Many thanks Gaslampers, really really good stuff. I hear Lovecraft got over his fear of foreign things once he actually started getting out of the house, shockingly enough. Also, I approve of eldritch machinery. Hey, are you guys planning to integrate DirectX 12 when it comes out? 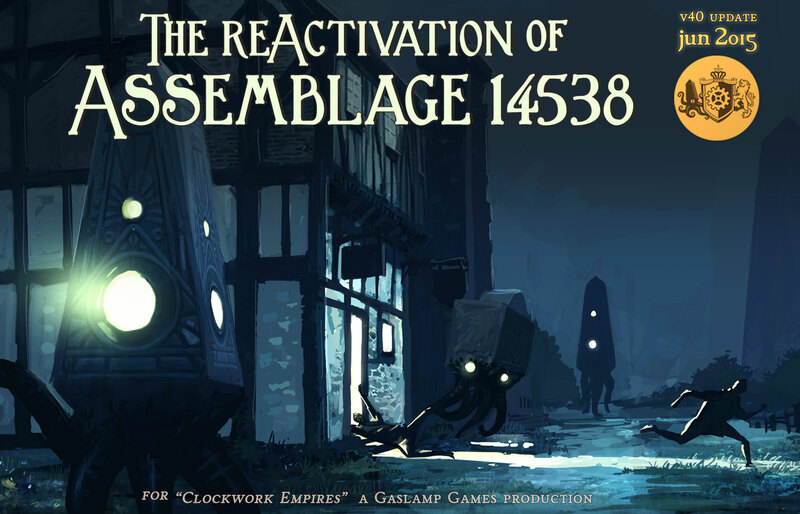 It seems like it could be really useful for Clockwork Empires, which is pretty CPU-intensive, and which (at a guess) runs lots of individual sets of minor calculations (pathfinding, job allocating, character decision-making, etc) rather than a few, single, major calculations.